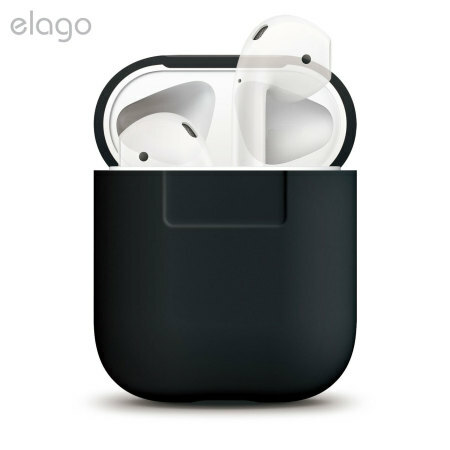 Add superior protection to your Apple AirPods case with this stylish, sleek and minimalist silicone cover from Elago. The cover allows full access to your AirPods and their charging case while giving peace of mind by protecting from scratches and scrapes. Silicon wraps around case in a snug fit, enough width added to the unit to ensure adequate shock absorption given the usual accidents without adding bulk. Feels nice to the touch and much more secure in hand than without the silicon covering. Love this little accessory. The AirPod case is smooth and a bit slippery so having something grippy on it makes me feel better about not loosing it. Fits perfectly. Looks good too.